Charcoal production is one the various ways to make quick cash. Thousands and millions of naira/dollar are being generated on daily basis from the manufacture of charcoal. Little or no capital is required to start up the business. The demand for charcoal is very high. It serves as energy source for heat and electrical power generation. Many countries use coal in generating heat and electrical power. People who roast maize demand for charcoal. Charcoal production is something everyone would like to do because much gain is involved, there is nothing to lose. Instead of looking for office work where people will give you conditions of service, why don’t you go into this lucrative business and make your money within 3 days. 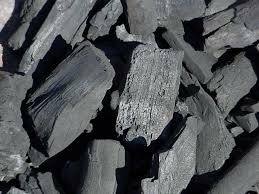 Charcoal is a carbonaceous material obtained from heating wood in the absence of air. Charcoal is production is a lucrative business. People make lots of money in Nigeria from the production of charcoal. Many people are not aware of the processes involved in the production of charcoal. Before I begin to highlight the necessary steps involved in charcoal production, I want to first of all let you know what is involved before going into charcoal production. It is not a business for lazy men. Charcoal production requires hardworking men and women. The steps involved in charcoal production are very easy steps which anyone who is not lazy can easily embark on and make his or her money. While you consider where to locate the incineration ground, please remember that incineration ground is located down-wind because of the smoke generated. Note that you can produce charcoal without spending anything. Before going into charcoal, make sure you are not the lazy type. The following steps are involved in coal production. Cut down a mature tree, cut the tree into large logs, the size depends of how you want it to be. But I will advise you to cut it into large logs, so that the charcoal will come out in large logs. Dig very shallow hole, arrange the lumps inside the dug shallow hole, i.e. the logs should be heaped together in the hole even to any height above the ground surface. After heaping the logs in the dug hole, the next is to cover the heaped logs with leaves; this is done in other to prevent sand from entering inside the logs. After covering the logs with leaves, the next step is to cover the whole thing with sand. Make sure you cover the whole thing so that there would not be leakages. After you must have done that the next thing you do is to set it on fire. Before ignition, make sure you open a little point where you can ignite. You can use dry leaves to make your fire, or kerosene or any type of fuel that is available. The most important thing is to set up fire that can circulate within 6 hours. After six hours, the whole enclosure must have been incinerated and filled with smoke. The next thing you do is to make little openings for the smoke to escape. This is done so that the incineration process will take a gradual process. After you must have done that, you will have to be checking the fire every time to make sure that the smoke doesn’t quench. After 3 days of continuous incineration, the charcoal is ready to be harvested. Use a shovel to gradually remove the sand, which is the top cover. While removing, you will also be digging out your charcoal. Package your charcoal in bags, and get ready to export or sell to retailers depending on how you want it. Depending on the size of tree, you can harvest 70-100 bags of charcoal. You can sell at ₦1500 for those in Nigeria. If you can make this type of money in just 3 days, are you not better than those in offices receiving authorities from various persons and being insulted always. Make your money, be self-independence and work out sometime for yourself. None of the richest men in the world today are government workers; instead they lend their money to governments. If you make your money today, government will invite you to come and invest in their country.